Greetings friends and fellow crafters. 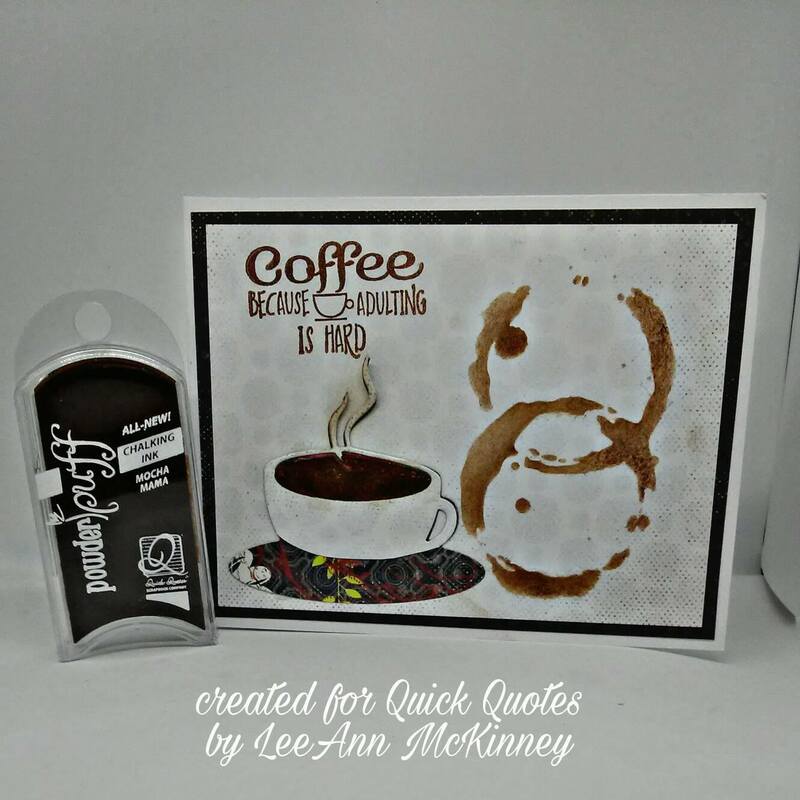 LeeAnn here today with my submission for the Fall Coffee Lovers Blog Hop. This is seriously the event I look forward to every quarter, and time sure did fly since the summer hop. SO, on with my project... Using card stock from Serenade paper pack which is this months Club Q paper, I cut a base of 5.25" x 4", I then cut another at 5" x 3.75" to use as a top layer. 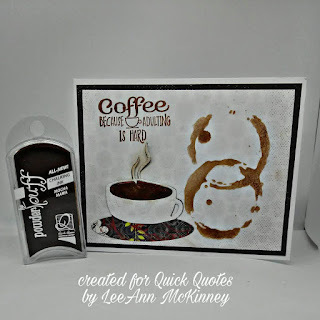 I then used Mocha Mama Powderpuff Ink to brush coffee stains through a stencil from my stash. I used a die from my stash to cut the coffee cup and saucer from Serenade paper again. The sentiment is from Joy Clair and stamped with Mocha Mama Powderpuff Chalk.